For today's after-hours entertainment, Woolie and Matt of Fighterpedia present the ladies of Skullgirls, hot and vicious for your pleasure. The video is a five-minute excuse for the boys to gush incoherently about how awesome the upcoming all-girl fighter is shaping up to be. Really, though, can you blame them? 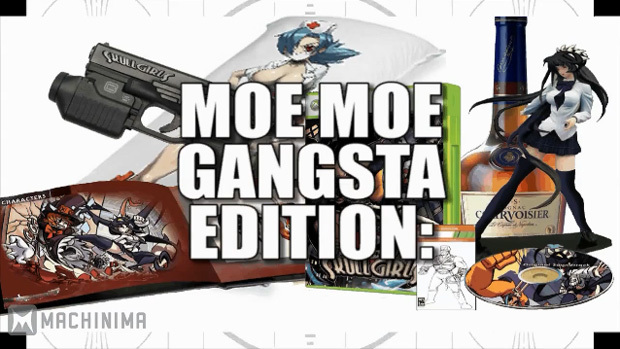 I kinda really want the "Moe Moe Gangsta Edition" bundle that appears at the end. The Skullgirls! Neko Musume-chan Climax 250% OVA plus a bottle of Courvoisier? Hell yes, please!